Rotherham United: "Paul Warne, you are the worst manager I've ever had..."
Rotherham boss Paul Warne has revealed one of his players once told him he was the worst coach he had ever played for. Warne was reluctantly thrust into management almost two years ago when the Millers were at rock bottom in the Championship, having gone through two managers in the first three months of the season. He inherited an unhappy dressing room, full of players that did not pass Warne's fabled “good human beings” test, and was unable to halt the slide. And one of the members of the group took it upon himself to offer Warne some unfiltered feeback. Speaking on BBC 5 live's Friday Football Social Warne said: “I remember once I had a player come in, I can't tell you who it was because it's not fair, who wanted to leave and he was trying to get under my skin. “He decided to tell me that I was the worst manager he had ever played for, the worst coach he'd ever had. “And he said something else pretty derogatory. Warne had the last laugh as the player, who has now left the club, had to watch on from afar as the Millers bounced back to the Championship at the first attempt. And under Warne, they are much better equipped to succeed this time around, even if they have lost three of their first four games. 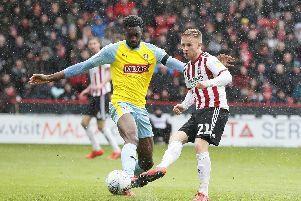 Millwall are next up at the AESSEAL New York Stadium on Sunday and Warne believes Neil Harris' team are one the Millers should be looking at as an example of how to sustain second-tier football. "Millwall are a good blueprint for us, they like to play 4-4-2, they are direct – that's not a negative, there are different ways to win a football match. "I went and watched them at Sheffield Wednesday. "The games come thick and fast, we went through the good bits and bad bits of the Hull game, but we just need to eradicate the bad to give ourselves a chance."